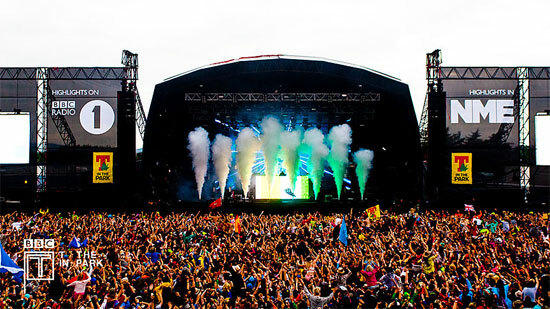 BBC's T in The Park 2012 took place this weekend in Balado, Kinross-Shire, and was choke-full of Divas. So instead of posting separately on each of them, I thought I'd just spam you with all of them in one go, and just pray none of you become too overwhelmed with the glut of aural and visual stimulation. Honesty time, I haven't had a chance to watch these all myself. I had a busy weekend, which included seeing Katy B at Somerset House yesterday (was amazing!). So I thought I'd post them for you guys now, because by the time I manage to watch and evaluate them it would most likely be time for T In The Park 2013. Let me know if there was anyone in particular you enjoyed in the comments! Florence and Jessie did phenomenal (Only checked out their sets briefly, I'll have a go at the others later). I'd love to see either live, the former more so. She may have vocally been a disappointment but performing live is a hell of a lot more than just vocal performance. And personally, I didn't think she was vocally disappointing at all. If all artists equalled the quality of their album sound where would be the point in going to see any of their live performances? She got the crowd going better than anyone I thought. Her interaction was brilliant and musically, there was a very good mix, tempo wise, dynamic wise, and atmosphere. I think she was the only act that catered for a broader audience of people. Wow that is something so ...I don't have the words.Well not inoffensive ones anyway. You have a to me, completely alien reasoning for going to see an artist live if you want them to sound less good . If you read correctly I specifically said the quality of the album sound. Not sound like the album exactly. I didn't expect her overall performance to match the album. I WAS hoping vocally she would get a bit closer to it than she did. That's all. I really like Florence and to be honest, within the genre, I am already impressed how close she does get live. I also stated I didn't watch the whole set yet so I can't and didn't speak om atmosphere,interaction etc etc ( though I did see the bit were she is saying hello to the audience and specifying those to the sides and all the way in the back. That was nice I thought). Still, I repeat, Alabama Shakes for me showed how a band CAN achieve the same quality live as on the album and if you care to check out some of their other live performances you will find they don't sound like the album exactly ( imo they sound better live)and they don't sound the same every performance but they DO reach the same high quality most times. And there are other artists who manage this. Jessie J was incredible, I thought, as usual, and her live voice is so much better than her recorded. Oh her music is dry as anything, but her live performances are so vocally beautiful that I catch myself listening to everything and anything she sings haha. I need her to sing/write prettier songs. Big White Room is the only one I love, really. Oh and Rita Ora has a beautiful voice life. Check out her cover of "Somebody That I Used to Know". Florence has an issue with deliverance in live Performances. Her vocals are always well supported but her arrangements get off and it sort of muddles the performance. She is definitely one to get pitchy (More so than a miss del rey) and I don't know if its because if there are problems with her technique or if she is just trying to sing the songs in a different way. Its not that I wouldn't enjoy the high quality album sound as you say, in fact it would be very impressive for an act to achieve those similarities in a live setting. I personally however, would find it much more entertaining to hear them do something new with their performances as I am first to admit I get bored pretty easy. Amen about Winehouse. Her new song with Nas just reminds us all what a talent we lost. LOL First off, I didn't really assume you were doing that. That was just a bit of rhetoric to illustrate how your statement came across. And I see you are still not getting it. A good musician can full well achieve the highest quality in a live setting and yet sound different from both the studio version and previous live performances. Again, I do not mean I want the artist to perfectly imitate that studio recording when performing live, I want them to achieve the same degree of quality, be able to mostly hit the same notes ( if we are talking singers). "something new' doesn't need to be defined as something of lesser standard but it sounds as if you think it does mean that and are perfectly satisfied with that. Just wondering, did you listen to the above videos of Alabama Shakes at all? Too True! But a lot of the work of Amy have that effect I find. So glad that Grammy went to Amy and Tony. That record was another perfect example of it. You need to add more male vocal ranges!! I did listen to them but they're not really my thing :S a group of talented musicians and if they write their own stuff, then fairly talented writers too. I admire their talent but I wouldnt listen to them through choice. And in all honesty, I have never heard of them before here so I cannot comment on their album sound. In reference to the quality in a live setting again, when you said about wanting the singer to hit mostly the same notes. I think singing the chorus, or main melody is very important to remain the same. I however, think its quite refreshing to hear the singer take on another vocal line at times. Or when they harmonise with the backing singers - having the backing sing the main vocal line. Thats why I really enjoy Florence. Her performances often differ, not just in the staging or choreogt vocally too. LOL my argument is not with your taste but with your statement on whether a certain standard can and should be reached live. "take another vocal line". LOL I get you but I don't think you distinguish between different artistically and different quality. It really sounds to me like you are mixing the two. A couple of the guys from work did the whole gig, said that the Shakes were one of the best acts and being honest I flicked past them as I wasn't really into them before but just had a listen and its fair to say I am extremely impressed! Might have to treat myself to their album, the arrangements and vocals are pretty superb!